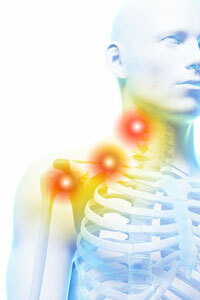 What exactly is a Cervical Facet Joint Pain? Small joints that are found on either side of the spine that provide stability and help to guide movement are called cervical facet joints. Dysfunction in the cervical facet joints can result in pain in the head, neck, shoulders, or arms and is caused by conditions like back injury, arthritis, and mechanical stress to the back area. For both safe and proven results in effectively treating pain, inflammation, and swelling in tissues surrounding the facet joints, Facet Injections are utilized to improve neck movement and to decrease pain. Those suffering from chronic neck aches who do not receive relief from anti-inflammatory medication and physical therapy are treated with injections in the affected facet joint area with steroids and anesthetic. This recommended procedure yields relief of pain and discomfort, as well as providing a diagnostic benefit.